Hey Girls! How’s everything and how is your life going? I hope everyone is enjoying the charm and beauty of life. Now the age is of Eastern fashion and styles. 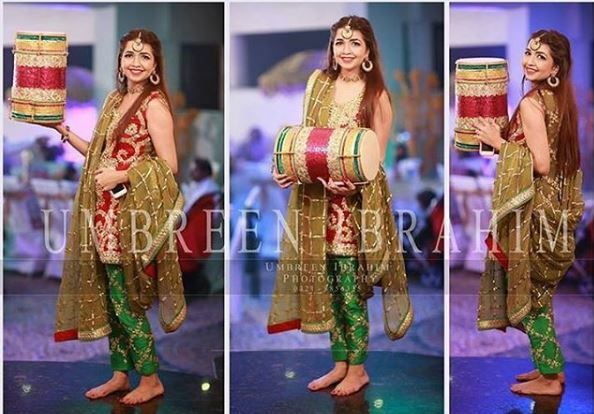 Pakistan and India are only those countries who had always preserve their norms is such good way that still their culture, weddings, festivals and traditions are celebrated with same excitement and passion as were in past days. 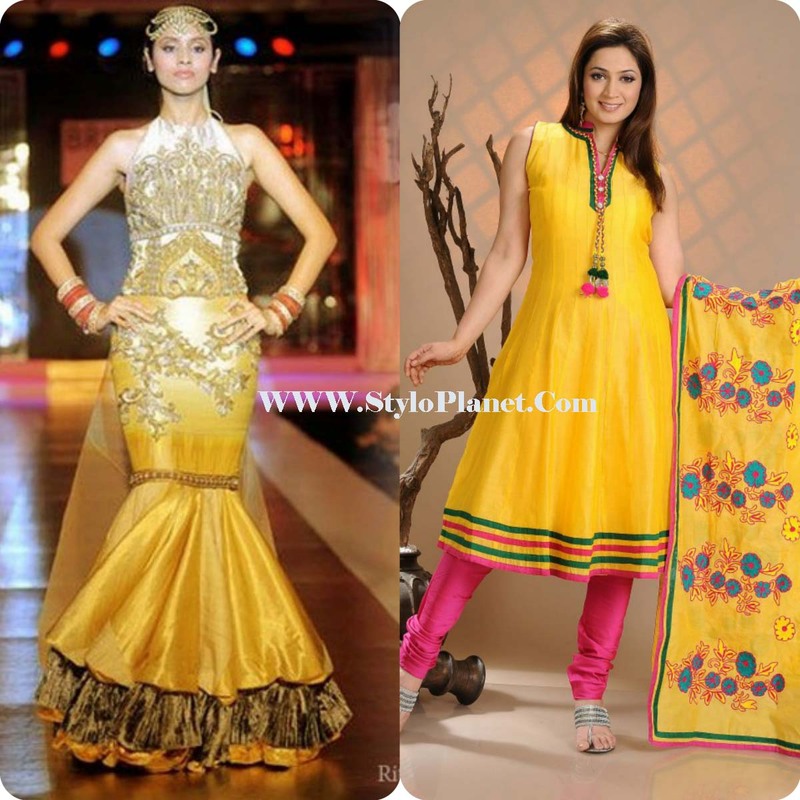 Where dressing and makeover is maintained in such manner with little bit amendment of styles and latest trends in them. 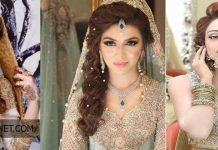 Asian weddings are celebrated with two days before of barat day and after big day there is a walima functions also. These all functions are celebrated with great passion and zeal and zest. 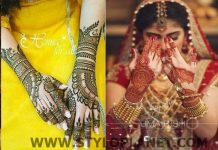 Mehndi is known as the part of Asian nuptials. This is the starting event of marriage. 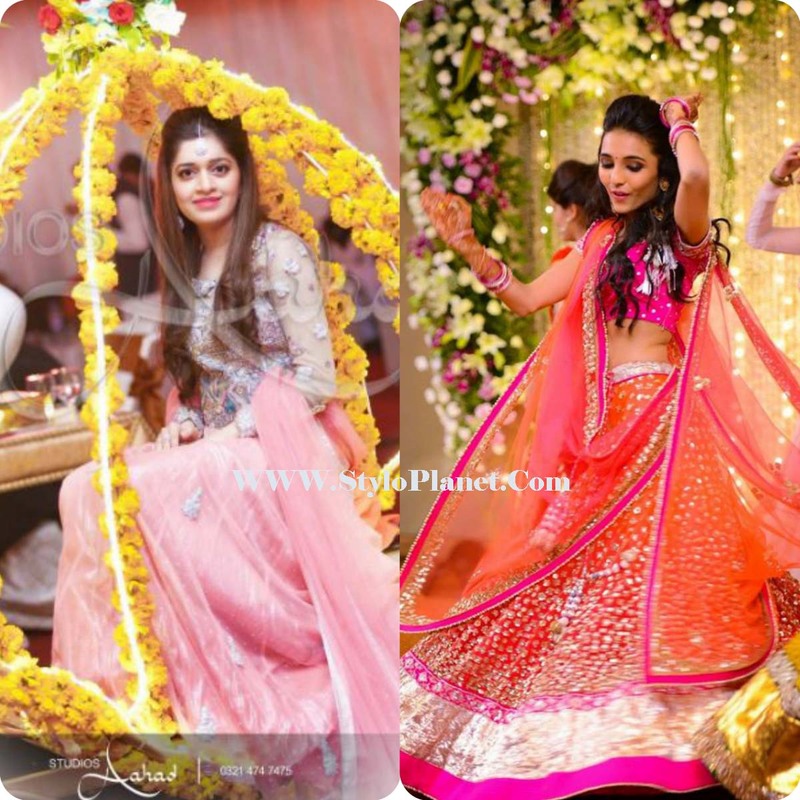 All guests especially young party make this day more memorable for the bride and groom. They sing different classic and pop songs, girls do dance and enormous things are done on this day. 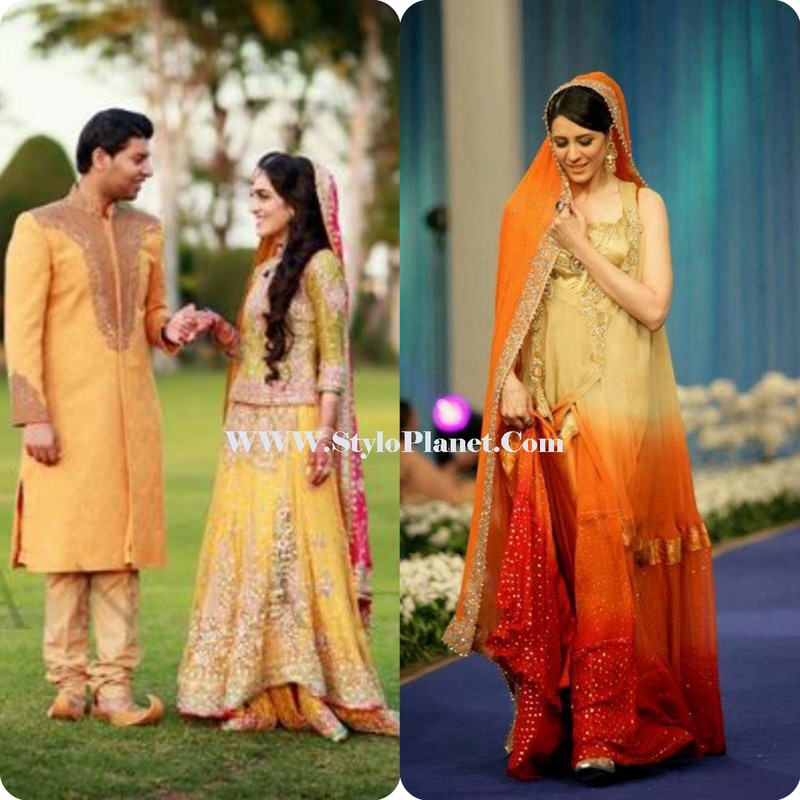 It is mostly enjoyable day for both bride as well as for groom. That day every bridal feels like a princes and reason of attraction for everyone. 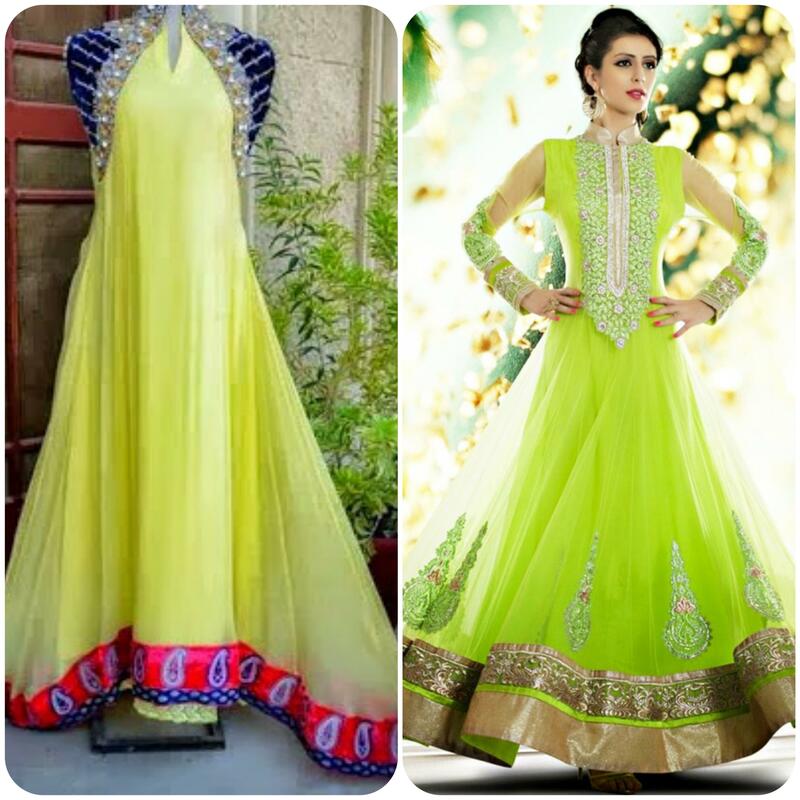 For this day dressing have also much importance, mostly green and yellow color is specified for this event. 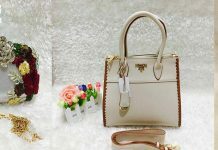 But with the advancement in life and styles, many other colors are also trendy like orange, blue, pink, maroon, beige and different contrasts of hues. 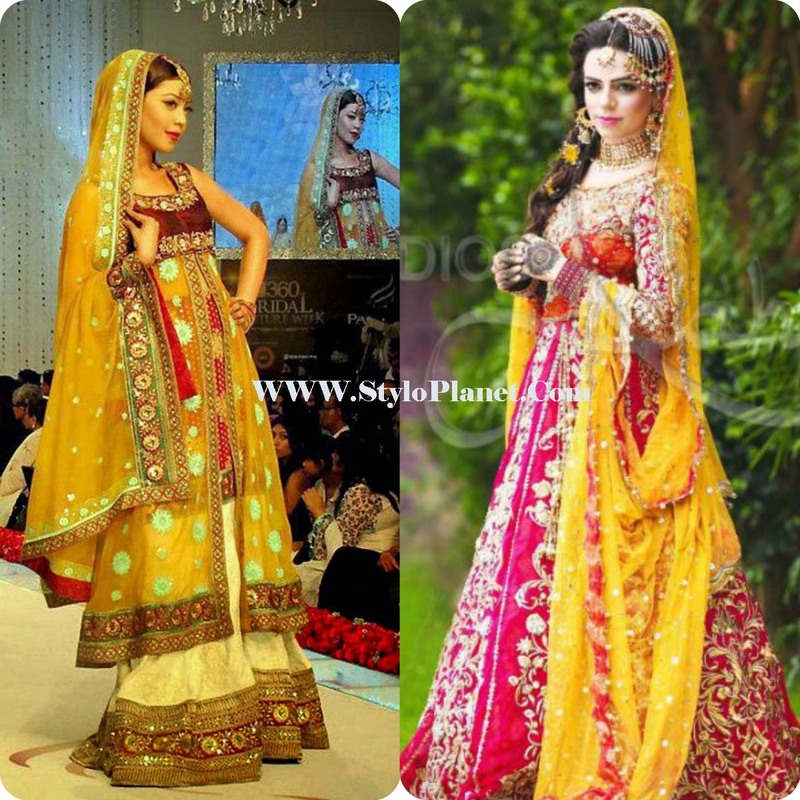 In Asian countries, girls like to wear gharara, lehenga choli, straight cut shalwar kameez, patial shalwar style, shahrara and some of these carry saree’s. 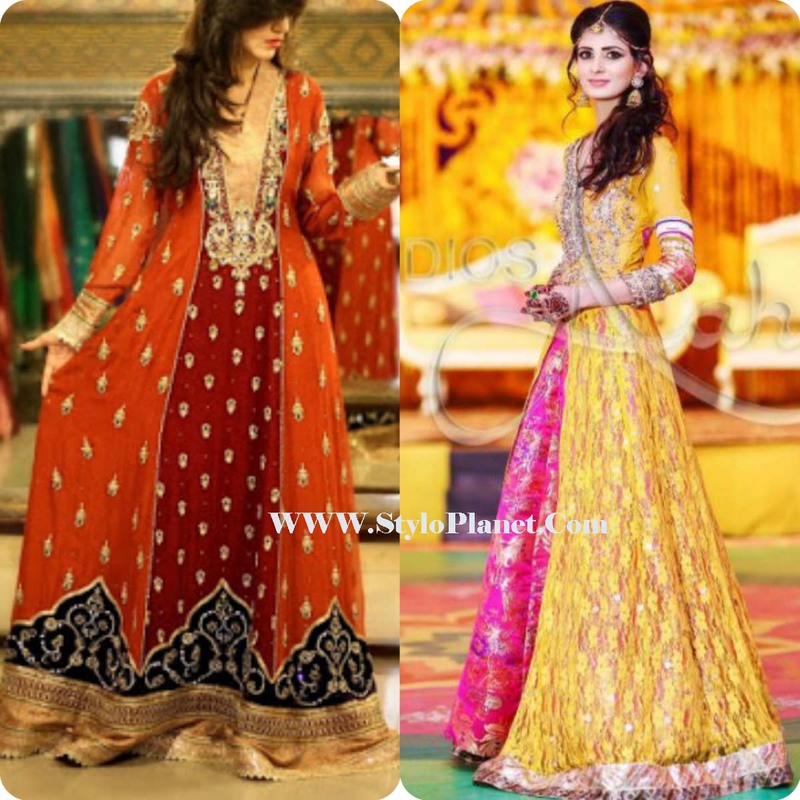 If we look few years back, the trend for this day was only shalwar kameez or sharara’s but now as you know everyone is becoming the slave of latest fashion, so some brides like frocks or long shirts with churidar pajamas. 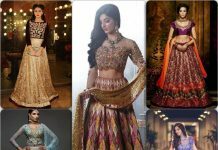 Some of these dresses are embellished with great work of zardosi, thread work, zari, cut work, laces and gotta. 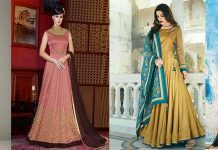 Silk, chiffon, crinkle and banarsi fabric make their apparel perfect and makes them pretty and gorgeous. 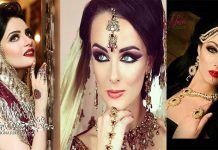 Here we are going to display Best Bridal Wedding Mehndi Dresses Design 2017-2018 Collection, have a look. 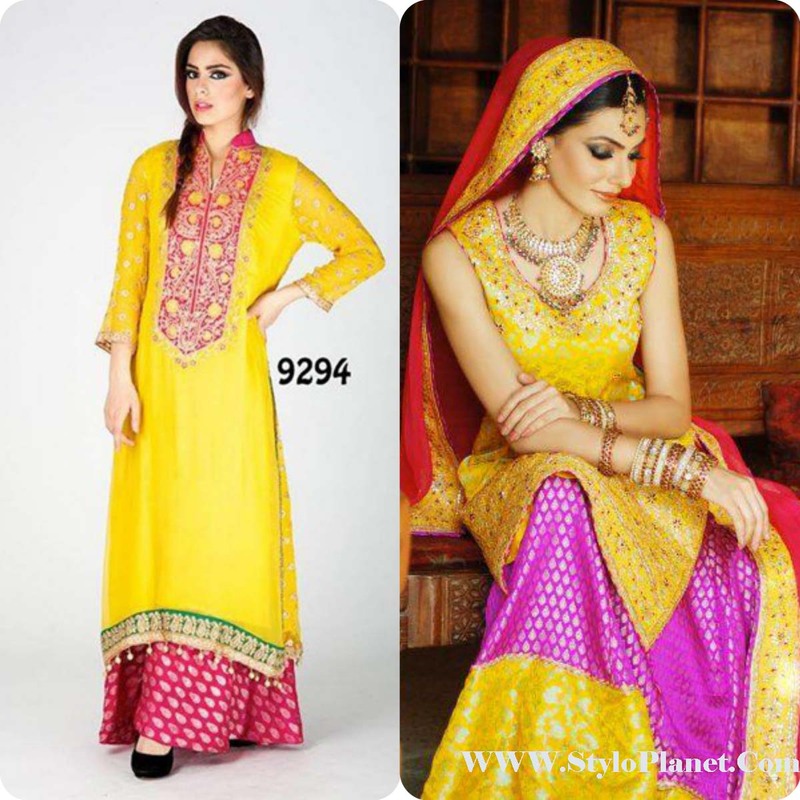 Fashion lovers always in search of new and distinctive things whether its dressing or something else. 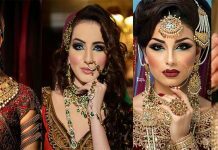 When it comes to parties to any special events like weddings, walima or barat day they became much curious. Bridals become more keen about their marriage ceremony. 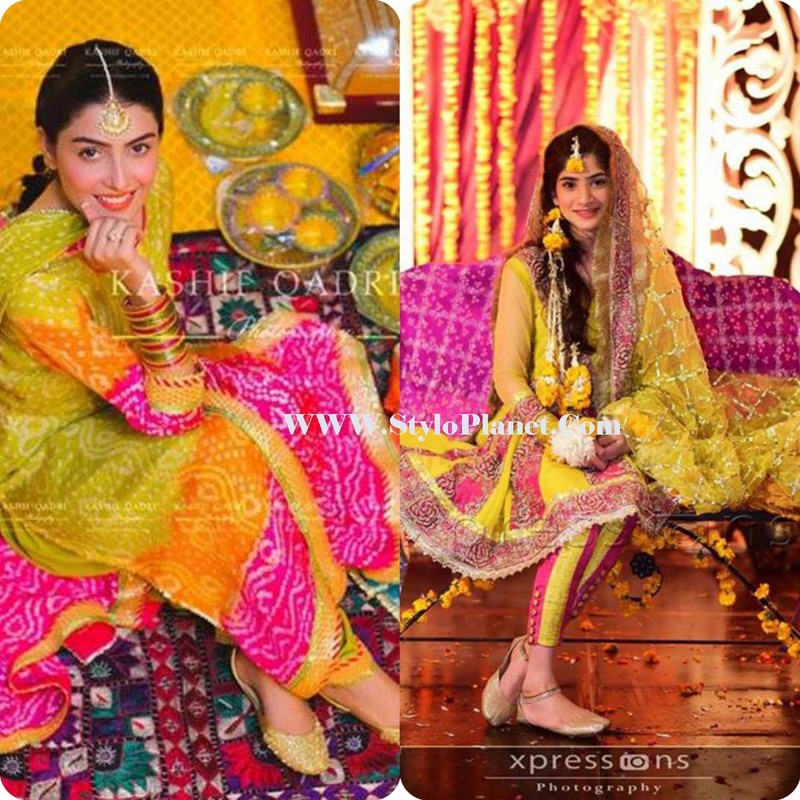 As mehndi is identifies with green and yellow color, but now this shade is not much importance as other hues takes. Girls now like to wear different contrasts. These dresses are adorned with multi laces, patches and contrasting fabric. 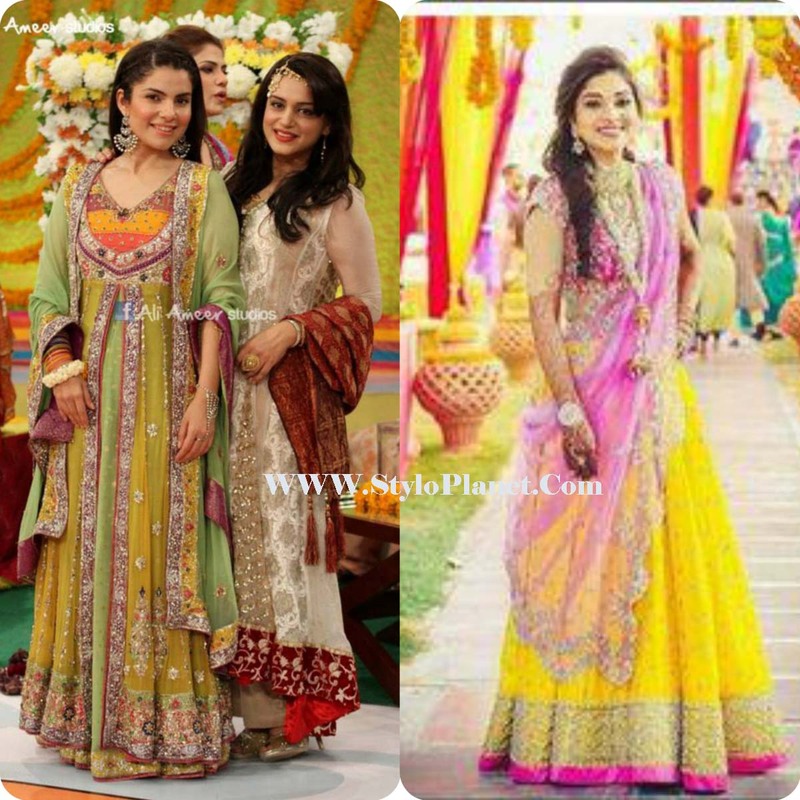 Duppatas are kept simple with little work on borders like matha patti style. But shirts are heavily embroidered. 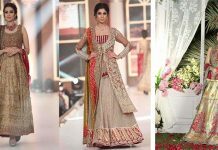 Now its time to display some beautiful faces of Pakistani fashion industry carrying Designers Bridal Mehndi/Mayoun Dresses 2017-2018 for Bridals and Girls. Have your glamours look and you can give us feedback at given comment box. 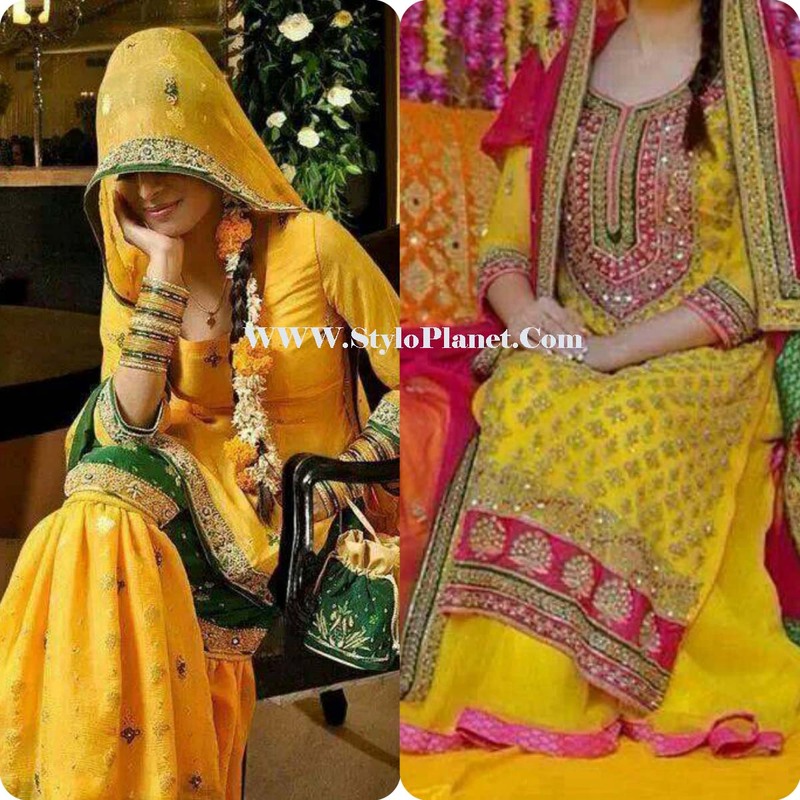 Mehndi Dressing is getting changed with the change in fashion. 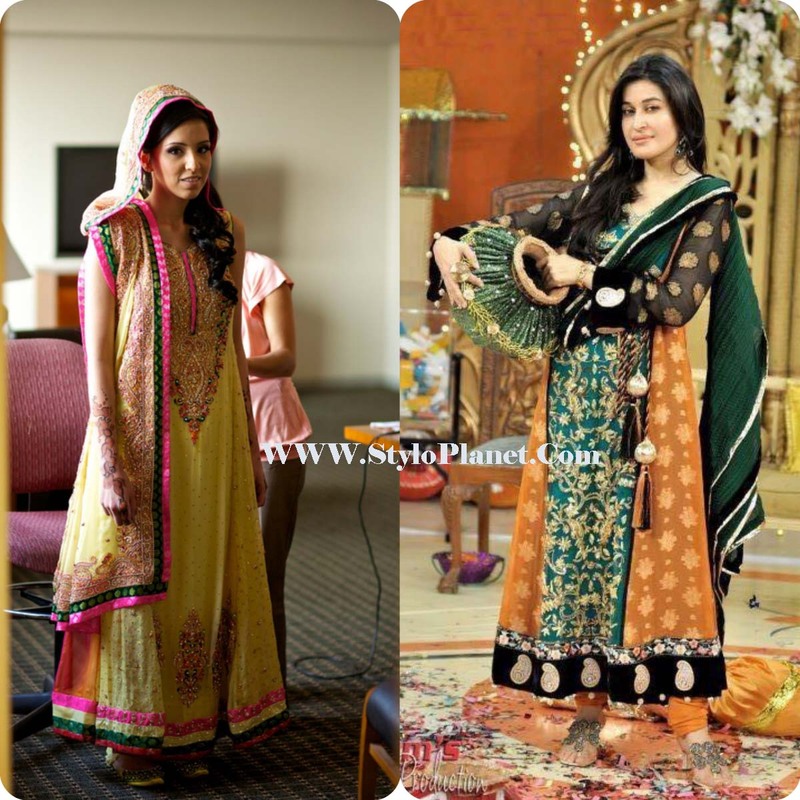 Here shown image gallery of Latest Mehndi Dresses by famous fashion designers in famous styles.